SHANGHAI—The Shanghai Oriental Art Center recently collaborated with HARMAN Professional Solutions and ACETEC Audio Amplifying System Technology Co. to upgrade their opera and concert halls with end-to-end HARMAN networked audio systems. The Shanghai Oriental Art Center (SHOAC) is one of China’s leading cultural institutions, housed in a massive contemporary building shaped like a butterfly orchid with five petal-shaped wings. Each wing contains a different art or performance space, including a 1,900-seat Concert Hall with a built-in pipe organ, 1,000-seat Italian-style Opera Hall, 300-seat semicircular Performance Hall and an open, 250 square-meter Exhibition Hall, as well as a dedicated wing housing an antique music box collection. The center also features large rehearsal spaces for music and dance, 11 piano training classrooms, a restaurant and a café. In advance of hosting the 21st annual China International Art Festival this year, SHOAC decided to overhaul their facilities and audio systems to meet the festival’s “A-level” venue criteria. With just four months to complete the installation before the festival organizers’ deadline, SHOAC brought in HARMAN Professional Solutions and Shanghai ACETEC Audio Amplifying System Technology Co., who delivered and installed a state-of-the-art networked system of JBL, Crown, Studer and BSS audio solutions in record time. In the remodeled Concert Hall, ACETEC installed 30 JBL VTX V20 line array loudspeakers for the main sound system. The V20’s integral mid/high waveguide provided precise vertical wavefront coupling and 105° horizontal dispersion for an optimal coverage pattern. The VTX series’ flexible suspension system allowed the speakers to be rigged and positioned quickly and safely, expediting the installation process. In the Opera Hall, ACETEC deployed over 40 AM7000-series loudspeakers from JBL’s Application Engineered Series. Designed for permanent installations, the AM7000-series loudspeakers provide full-range sound in two-way or three-way configurations, with or without subwoofers. All mid and high drivers feature rotatable Progressive Transition Waveguides for precise dispersion and wide coverage in a variety of setups, and all low-frequency drivers employ JBL’s innovative Differential Drive transducers. For amplification, ACETEC installed Crown DCi and I-Tech power amplifiers, each suited to a different application. In the Concert Hall, 11 I-Tech amplifiers interface with the VTX line arrays via JBL HiQnet Performance Manager for precise configuration and remote control. 41 DCi-series amplifiers power the AM7000 loudspeakers in the Opera Hall, providing a modern, versatile networked solution with a compact footprint and high energy efficiency rating. Ten BSS BLU806DA signal processors route audio through a high-bandwidth digital audio network with low latency, powerful DSP, flexible I/O and Dante/AES67 connectivity. ACETEC installed Studer VISTA X and VISTA V digital consoles for mixing, which combine powerful DSP capabilities with streamlined workflow features that help to make complex mixing tasks intuitive. Studer’s revolutionary Vistonics interface features knobs and controls built right into flat-screen displays, putting physical control and visual feedback in the same place. All faders are dynamically color-coded with Faderglow lighting, letting the user see the state of each track at a glance. Quad Star technology with four independent CPU cores provides the speed, stability and redundancy needed for the Art Center’s high-profile productions. The Concert Hall received the larger VISTA X, while the more compact VISTA V consoles were installed in the smaller halls. While the Shanghai Oriental Art Center renovation was a large undertaking with a relatively short timeline for completion, coordination from multiple parties helped see the project through efficiently. 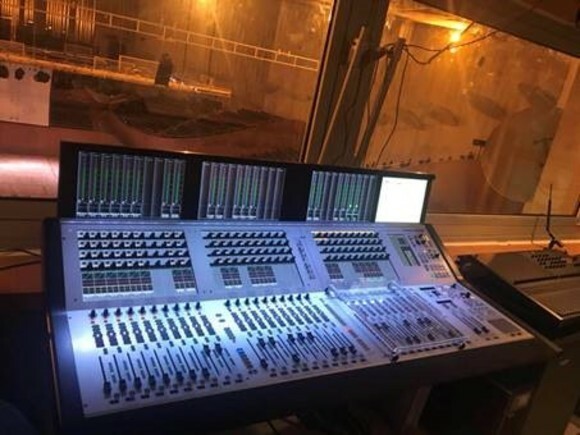 HARMAN China leadership and HARMAN;s Pro Broadcast team worked directly with SHOAC to coordinate the purchase and delivery of the audio systems, while ACETEC performed the on-site installation and setup, in addition to providing technical support. With all parties communicating and working efficiently, the entire project took just two and a half months from contract signing to final installation.